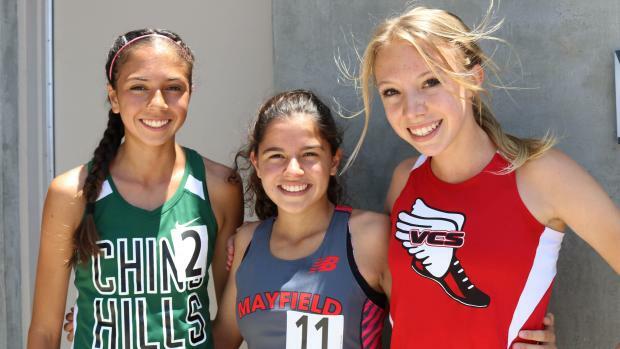 This is the first installment of a 10-part series leading up to the overall MileSplitCA All-State teams. LJ, 100H, 300H 7th at State 100H (14.10 PR at prelims); SS D4 champion 100H & 300H (44.44 PR). SP, DT State Meet qualifier in both throws; SDS runner-up both throws. 1600, 3200 SS D4 champion 1600 (4:46.77 PR/ US #2 in the class) & 3200 (10:27.82 PR); 6th at State (1600). 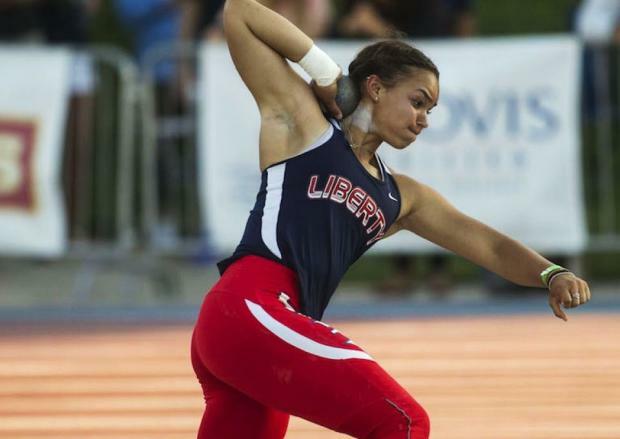 SP, DT Top 2021 dual thrower in the US: 160-7 DT (US #1), 45-00.25 SP (US #2); CS runner-up DT; 5th at State DT. 800 9th at State; 5th at SS Masters (2:11.77 PR/ US #10 in the class). Moonlighting soccer player who emerged as one of CA's elite distance runners; 3rd at State 1600 (4:44.87 PR/ US #1 in the class); SS D1 champion 1600 (4:45.54). 100M, 100H, 300H Versatile sprinter, hurdler whose season was cut short by injury at league finals; 300H 43.73 PR at Arcadia ranks US #7 in the class. LJ, TJ, 100H 6th at State in the TJ (40-00.50); runner-up SS D2 finals in LJ & TJ, 3rd in 100H; US #3 in the class TJ (40-02.25) and #8 LJ (18-11). 200, 400 Citrus Belt League champ in both sprints with 55.00 PR in the 400 (US #9 in the class); SS Masters qualifier 400. CS champion 300 hurdles (43.86 PR) and runner-up LJ (18-4 PR) & 100H (14.40/1.7 PR); State Meet participant in all three. 5th at State LJ (18-10.50); CC champion LJ (19-03/4.0); 19-06.50 PR from CCS Top 8 meet is CA #3 overall, US #3 in the class. 100M, 200M 8th at State 100m (12.00); SDS champion 100 (11.84/2.3 PR; US #10 in the class). PV Top pole vaulter in the class in the US; one of few in CA over 13-feet; only the second freshman in CA history over 13-feet; 3rd at State (12-6); SS D2 champion (13-00.50 PR; CA #3 overall, US #1 in the class). Among the trio of elite distance stars from the SS in the 2021 class who all medaled at State in the 1600; 5th at State (4:48.04); 2nd SS D4 800 (2:13.28); 4:47.83 PR for 1600 (US #3 in the class). 9th at State TJ (38-10); 2nd in the TJ at CS Finals (39-0.25; US #6 in the class); CS finalist in the LJ and 100H; Also pole vaults. Versatile sprinter, jumper who helped the 4x400 relay team to Section, Masters and State Meet titles; 9th at State LJ (18-01.50); SS D2 champion LJ (18-08.50 PR); D2 finalist 400 (56.33 PR at prelims). 200, 100H, LJ 100H PR (14.26/1.2) at Arcadia is US #4 in the class; State qualifier 200m and 100H; LA City Section champion 100H (14.36/1.0); 4th LAC finals LJ (18-00 PR).